When you’re dealing with Jennian Homes, you’re dealing with a locally owned and operated team of professionals with a long history in the building industry. What’s more, you get the security that comes with dealing with the owner of the business, one that is supported by a loyal construction team, trades and suppliers. With the ability to build any type of home across a wide range of budgets, you can get the house to meet your needs, from entry level to a designer home and everything in between. The Jennian Homes process is designed with attention to detail in mind; a clear 11 step process that ensures you get the home of your dreams and know exactly what to expect every step of the way. So how does this all come together? Step one involves what you want your home to look like; the style you want, how many bathrooms and bedrooms you need, with a great range of plans to select from. Step two is time to gather your thoughts. You have your own login to get constant communication and pictures, ensuring you are up to play with any exciting updates on your building adventure. Step three is a personal consultation. It’s time to tell Jennian about you. Your personal consultant is there to listen to your needs and aspirations on the journey to creating your dream home. When it comes to step four, it’s time to choose the right house design for you. Choose a plan or create a masterpiece from scratch. Step five: Money talks. Based on your requirements, Jennian will put together an estimate. Step six is where the drawing begins and your dream home starts to take shape. Step seven is time for the quote and, once you’re happy, it’s final quote time. Step eight is when permission is granted and you get to sit back and relax while Jennian takes care of the requirements needed to get building underway. Step nine – your dream home gets started! Step 10 is the big day; here come the keys! Then, by step 11, you’re living the dream. 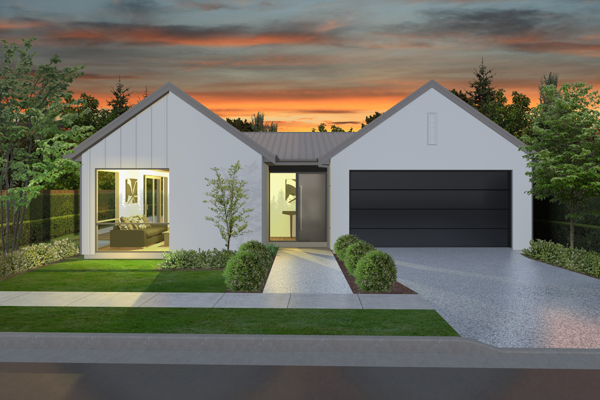 If you want to see how it all comes together, visit one of the four display homes in Rolleston, Rangiora, Ashburton and Timaru, from Wednesday though to Sunday 12pm to 4pm or by appointment and let the team show you through to give you an idea of just what Jennian can build for you. Don’t forget Studio J at 212 Main South Road where you can find the display centre, showcasing the features that you can find in a Jennian home. Phone 0800 536 6426 or email enquiries@jennian.co.nz. With a company philosophy ‘Combining your personality and our expertise so we can build you a home that is perfectly suited to you and your family’s changing needs’, you know this is the place to go. Jennian will be there every step of the way, helping you to achieve your building dreams.